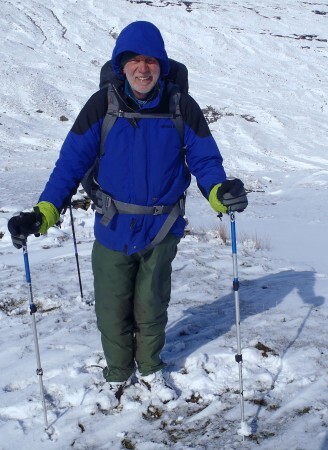 After a couple of years as a Geophysicist in Antarctica, Dave settled down and taught Outdoor Education for the rest of his working life at Dunbar Grammar, Preston Lodge and finally for East Lothian Outdoor Education which subsequently became the Outdoor Learning Service. He retired in 2005 and does some voluntary work in the outdoors for a number of charities. He also enjoys visiting the wild and lonely places in Scotland which often involving backpacking or kayaking trips. He works occasionally as an associate instructor for the Outdoor Learning Service. He particularly enjoys working with groups in our wonderful countryside and is a firm believer in the positive benefits they gain from this, not just in terms of environmental awareness, but also in their own personal development.